A galaxy divided! Striking swiftly after the Battle of Geonosis, Count Dooku’s droid army has seized control of the major hyperspace lanes, separating the Republic from the majority of its clone army. While the Jedi are occupied fighting a war, no one is left to keep the peace. Chaos and crime spread, and the innocent become victims in a lawless galaxy. The Clone Wars show has always been one of my favorite parts of Star Wars. But there are many fans who haven’t seen it! Whether it was the bad taste in their mouth after the PT, or a dislike for animation, or just not having enough time to sit through the filler. This a shame. While I can’t fix the first two points besides repeating give it a chance, the third group does bring up a valid point. There are many episodes in the Clone Wars that appear insignificant but are vital to understanding what goes down later in the series. But a simple “series” of edits won’t do. There is simply too much that goes on in this the Clone Wars. The show is built as an anthology series but expects you to watch every installemnt. So while you may think the show is based on Anakin and Ahsoka… you need to watch that Mandalorian politics episode to understand Darth Maul’s return. 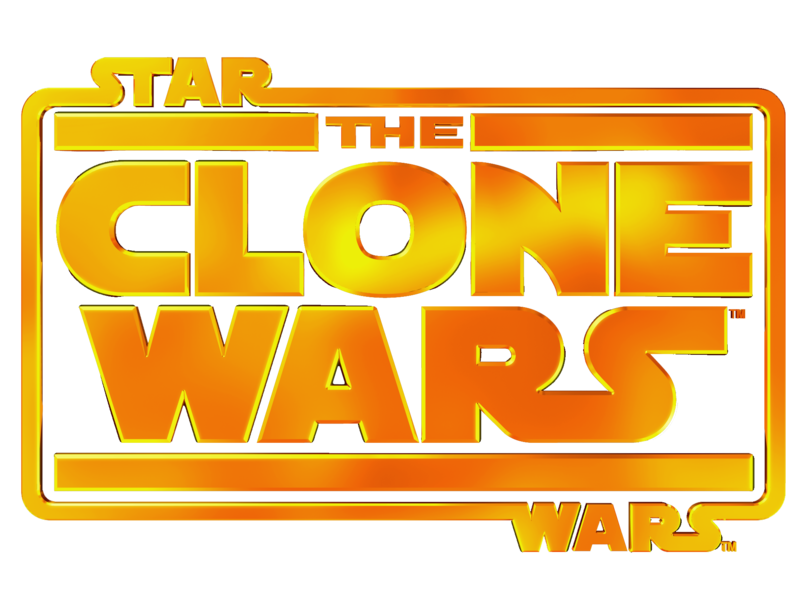 “My vision” is to trim the fat off some Clone Wars episodes and merge them into one longer, more coherent story. But I’m not just stopping there. I want to turn this into a cinematic universe. Truth be told, Smudger’s edits were the only thing initially holding me back from the project. I did not want to “over-saturate the market” aka not get any attention. But there is a key difference between our projects, and that is the cinematic universe. A cinematic universe is a type of franchise where main characters/themes are not always expected to return every single time. This comes in handy big time when dealing with the Clone Wars. I don’t want to get into the details here (to avoid spoilers) but I have many examples of these types of scenarios. It also helps focus on certain parts of the show. I’d like to make many, many edits, each dealing with different characters. For example, I’d love to help with a Domino Squad movie. Or an edit with all the various Grievous episodes, tied together with the theme of the Jedi hunting him down. But before I get ahead of myself… I will focus on my current edit, the “Iron Man” to this project: Ahsoka. Named after the show’s most popular new character, Ahsoka merges several Season 1 and 2 episodes to create a streamlined narrative concerning Anakin’s relationship with his new apprentice. Beginning with her surprise introduction (and Anakin’s dislike of her) and ending with Anakin willing to go out of his way to save her. To be frank, there are some issues with the episode blending- namely Ahsoka doesn’t change much (this is only seasons 1 and 2). But I plan to address this with sequels later down the line. And a promise to at least complete the first edit in the project. I will then continue, based off community feedback. Please provide any suggestions or feedback below. I don’t think there are many plot ramifications if a First Order fleet still attacks the Republic capital. Possibly a fleet of first order dreadnoughts, so the opening of TLJ does not feel out of nowhere. If Anakin “created” C-3PO, does that make him stepbrothers to Luke and Leia? On another topic, why wipe just 3PO and not both 3PO and R2? R2 knew of Luke and Leia being related as well as Anakin turned into Vader. Because R2 is smart and loyal. He wouldn’t say anything and the empire wouldn’t think to extract his memory if he looks like every other droid. C-3PO has been shown repeatedly willing to flip sides if it means survival. A single threat and he’ll let it all out. He’d spill the beans to Luke in their first conversation. Amazing job with the thread! The problem starts when Lucas refuses to release to provide the original versions. Fans should be allowed to choose what version of the movie or story they want to watch, just like Lucas gets to choose what he wants. Who knows? Maybe some people like the special editions. The should be allowed to remain. But we should also have access to the versions so many people fell in love with in 1977. In the past, the concept of releasing all different versions simulations sounded financially foolish… and well confusing to consumers. BUT streaming services could be the answers. Maybe under the movie, there could be a selection where you choose which version you want to see. I think this would be a great solution that satisfies everyone. I think it’s mostly comments like “so in so has been confirmed for such and such” as part of the speculation, not the speculation in and of itself. Ok. I still don’t think my theories are considered “spoilers” tho, I just got them from watching the trailer. But thanks for the reminder, I’ll spoiler tag the posts. So what exactly am I supposed to say? I like because SPOILER REDACTED? I mean, there are definitely things to talk about with the trailer. I think it refers to Ben Solo. Rise of Skywalker is not plural, so Rey will not be a Skywalker. Or, she will take on the name and Ben will somehow drop it- which is ultimately impossible since he has rebuilt his mask. Why would they need to visit the ruins of the DS II? I think it is connected to Palpatine’s laugh. Ian was confirmed to have an onscreen appearance, so he will likely have returned possibly as a spirit here. This may be where Ben and Rey face off, in the same room as Luke and Vader. I think this must be some “final battle” because it has a shot of all the heroes. Is that Tatooine or Jakku? My hope is Jedha, but I would not be surprised if Tatooine or Jakku return. I think it is a cool title. Not what we were expecting. I especially like how it chose “Skywalker” instead of the plural. Suggests Ben- or maybe even Anakin- will have a large impact over the story. Good luck don’t know if possible, but going in as clean as possible is the best way to enjoy the movie for what it is. I’m curious why you didn’t like the Ponda cameo? Just that it exists? Can’t speak for him but I imagine it’s because how fan-service-ey it feels. In the entire galaxy they just happen to run into the same guys. Yep but only after he “mind probed” Rey to know Luke’s wherabouts. Yeah. Thing is if one considers what Snoke says in that scene, finding Luke is no longer the priority. His plan is to test Kylo’s faith by bringing Rey to him and having him kill her (getting rid of Luke is just the secondary tying up of loose ends). As usual with dark siders, his overconfidence ends up being his weakness. Or is that just the power of the spooky dark side? I’d be interesting to see an edit, make Solo not Solo in Solo. Don’t know if you would have a movie.